The first twins Christening Cake we’ve ever done. Also available for baby girls/one of each/triplets/quads etc! 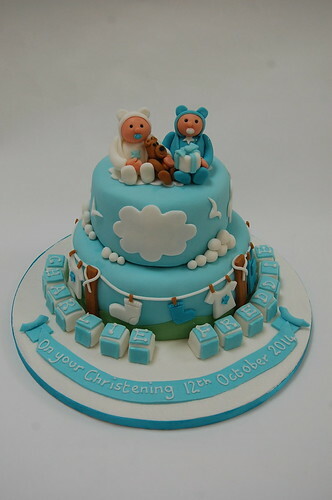 The Twin Boys Christening Cake – from £100.